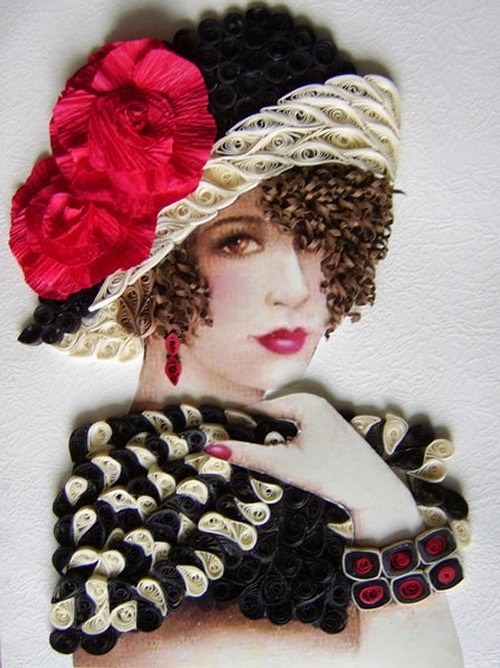 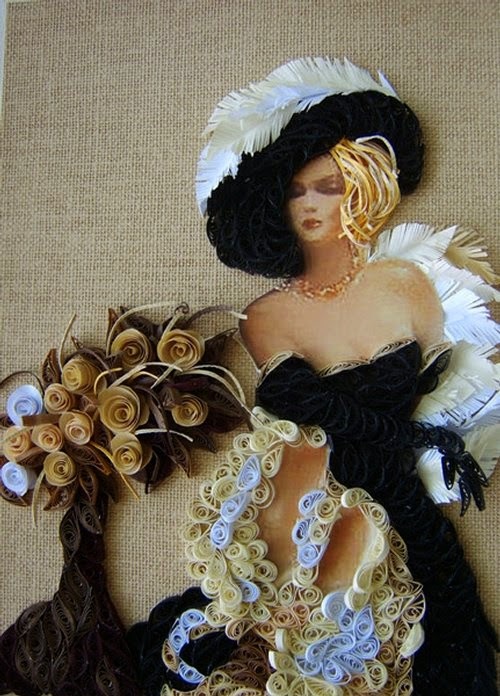 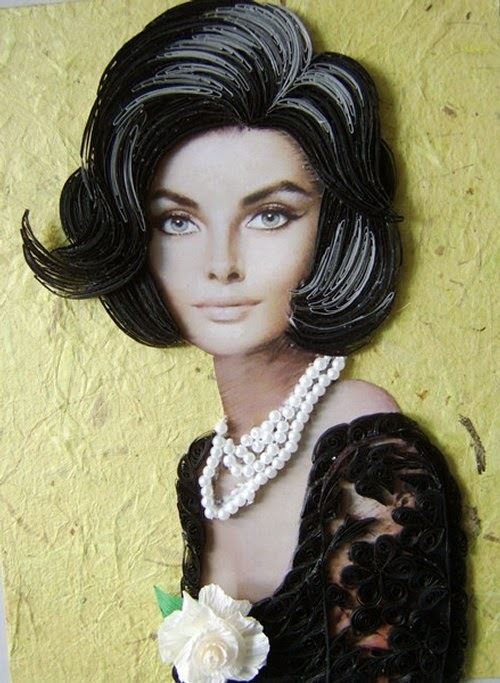 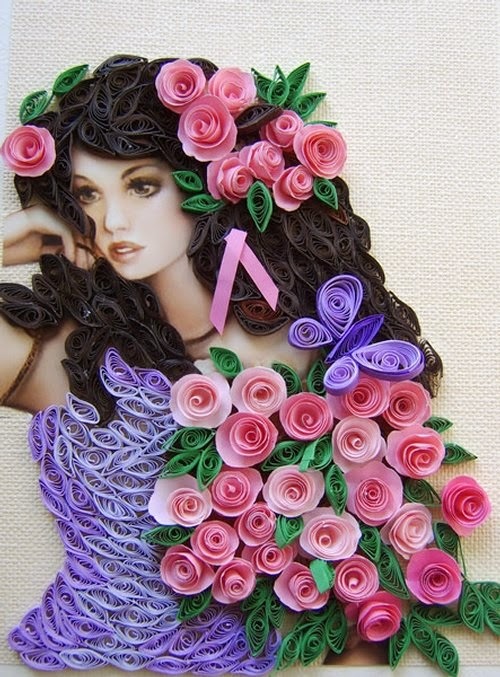 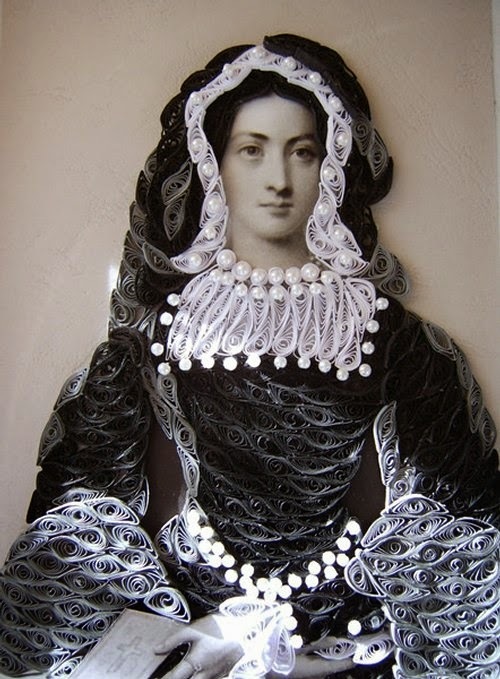 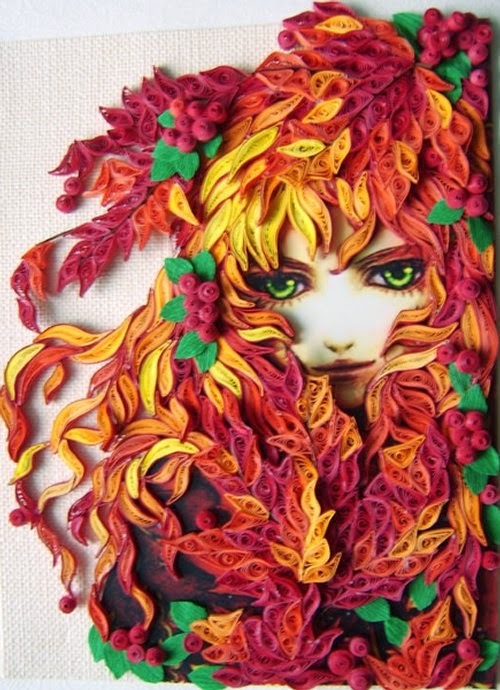 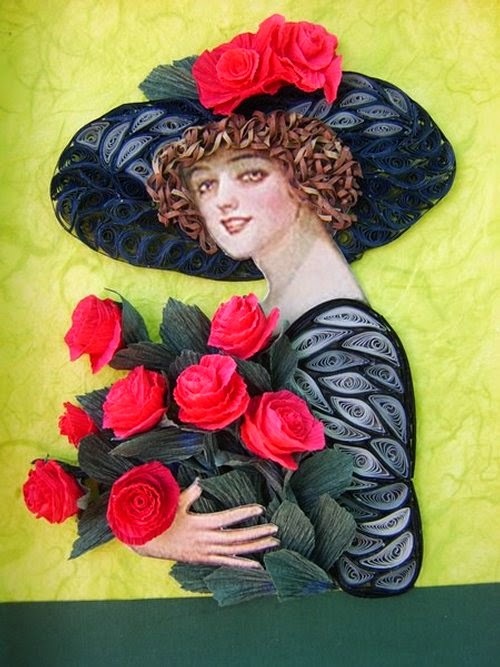 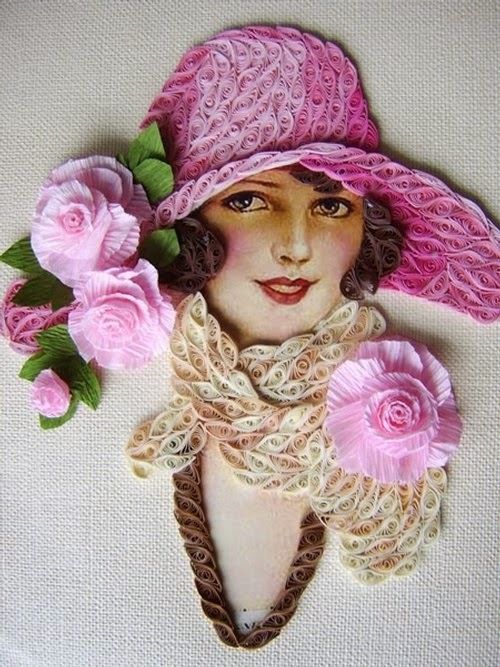 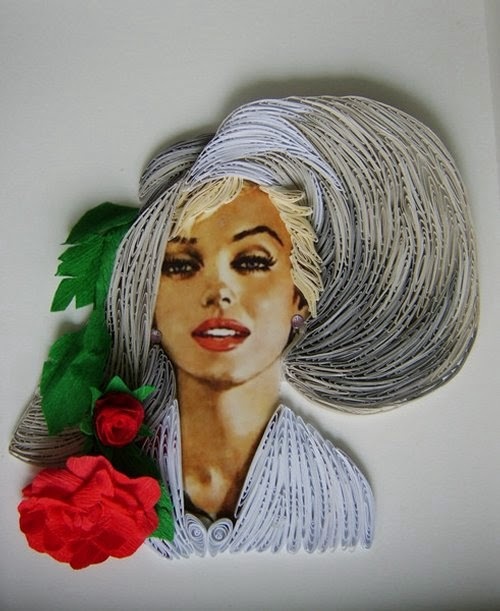 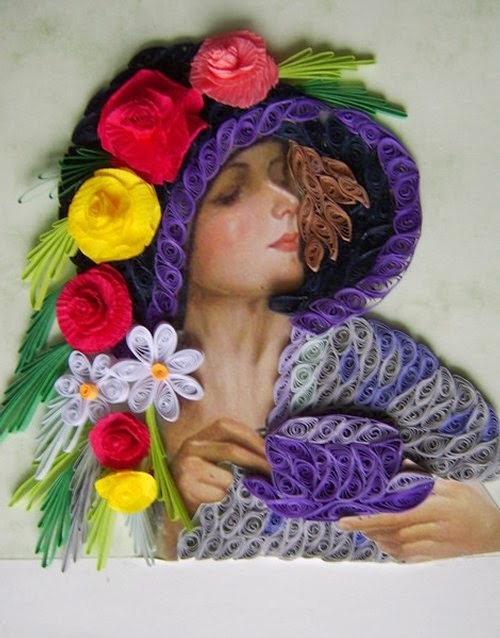 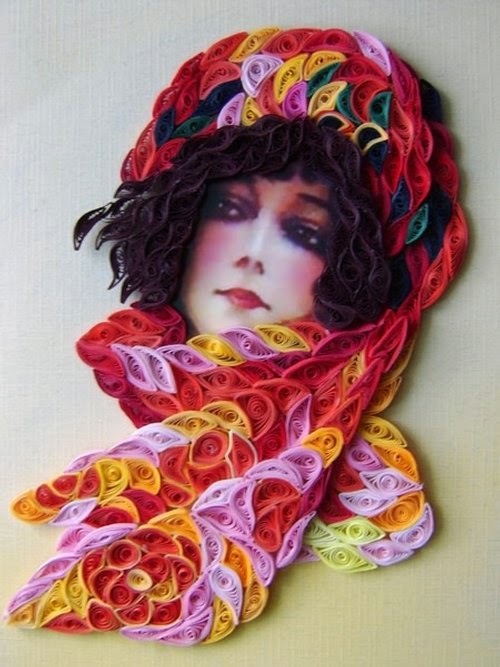 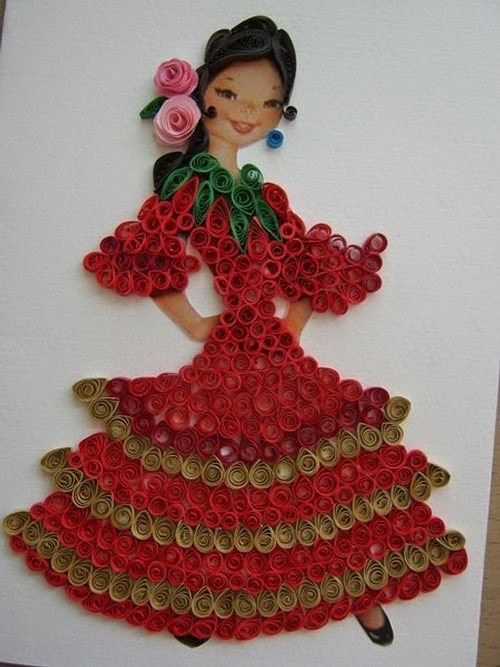 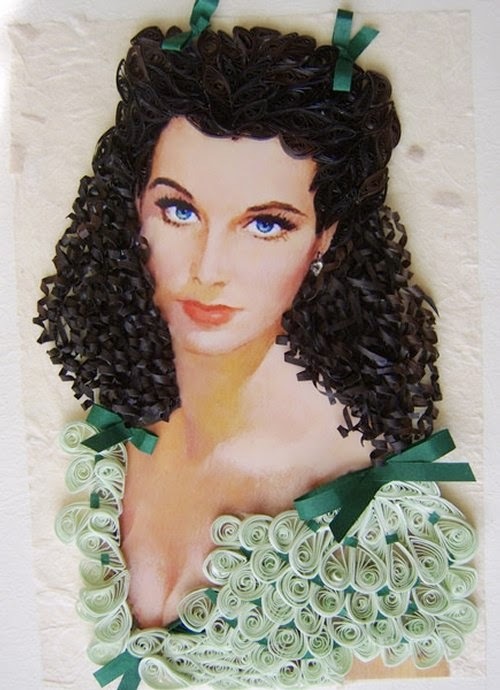 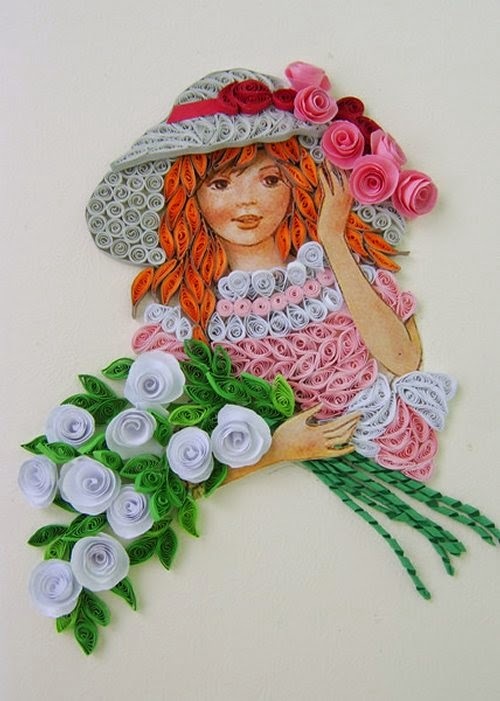 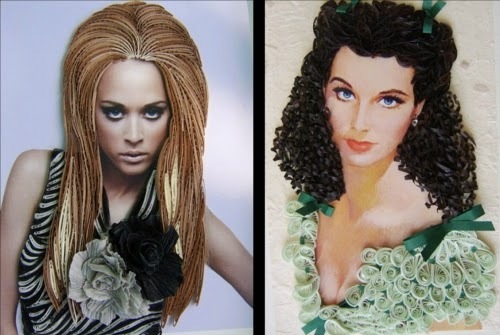 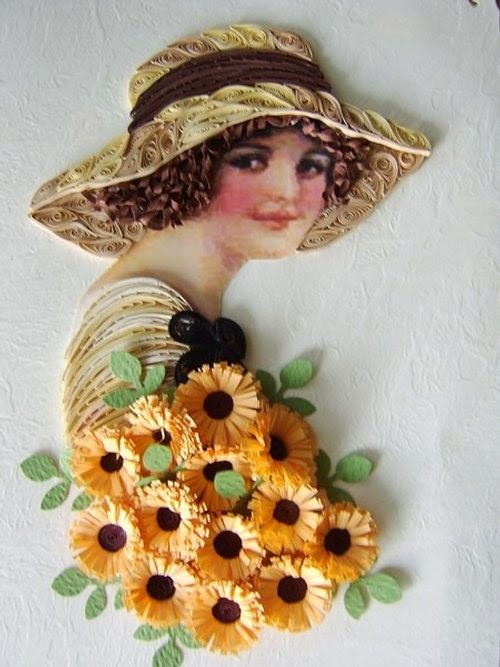 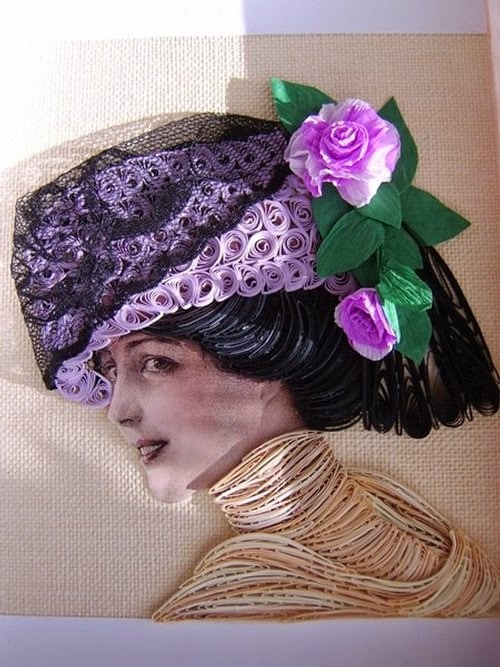 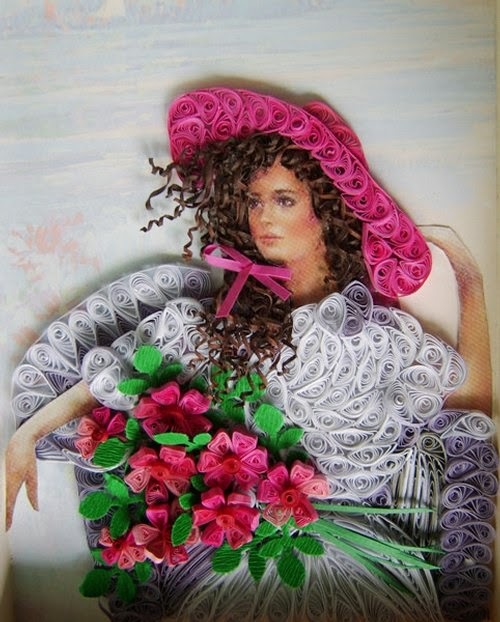 Latvian Artist Eugenia Evseeva creates the lovely quilling portraits. 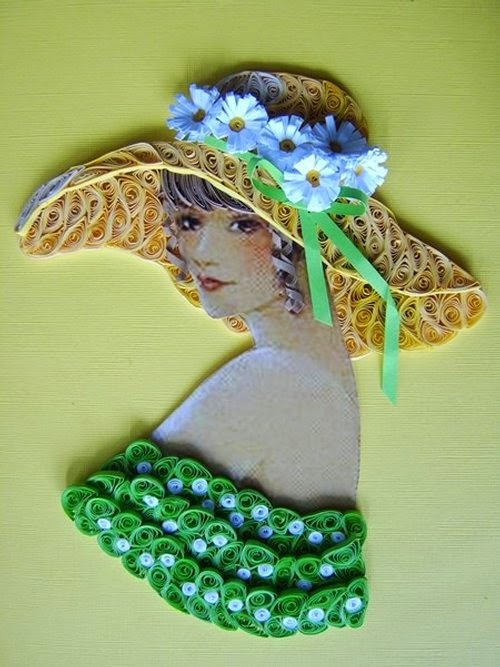 Wikipedia Defines this form of Art as; (Quilling or Paper Filigree is an art form that involves the use of strips of paper that are rolled, shaped, and glued together to create decorative designs). 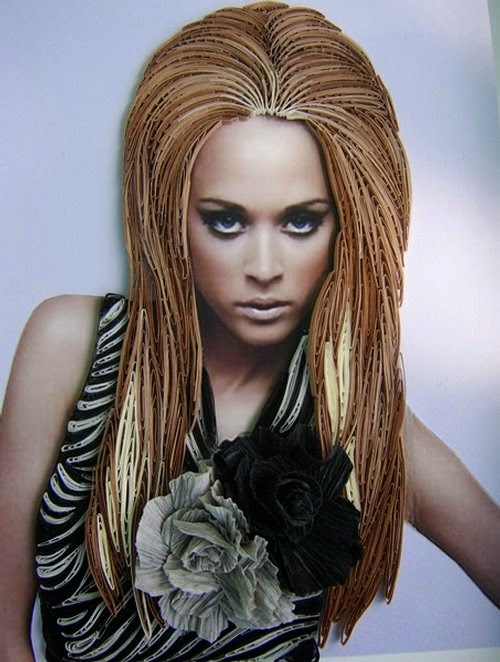 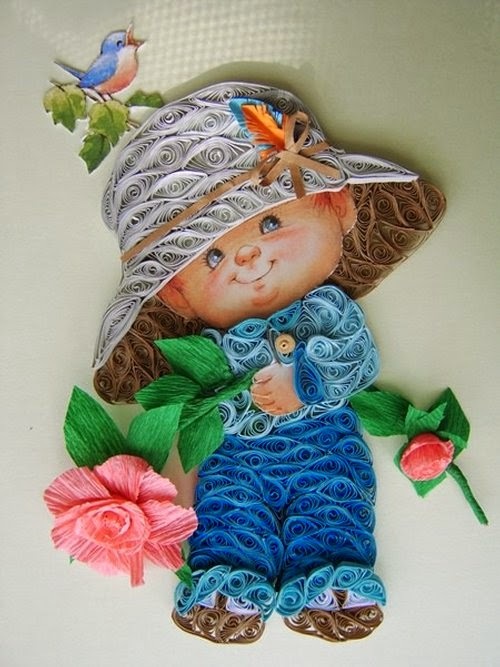 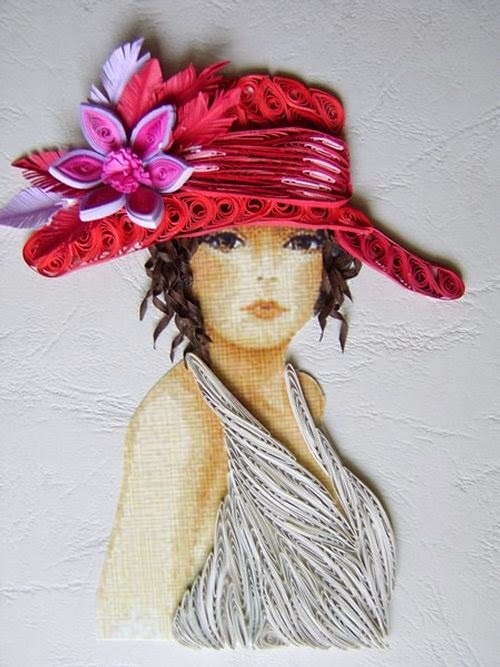 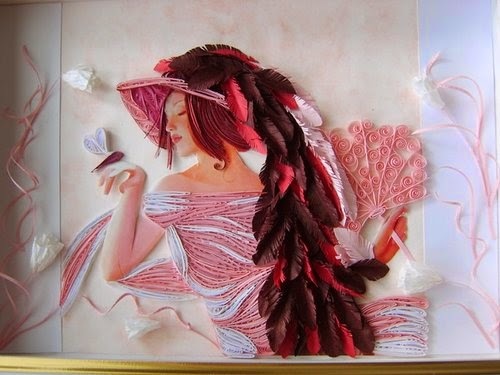 Evseeva uses pictures for the face and the body and uses the coloured paper for the hair, clothes, flowers, jewellery and hats. 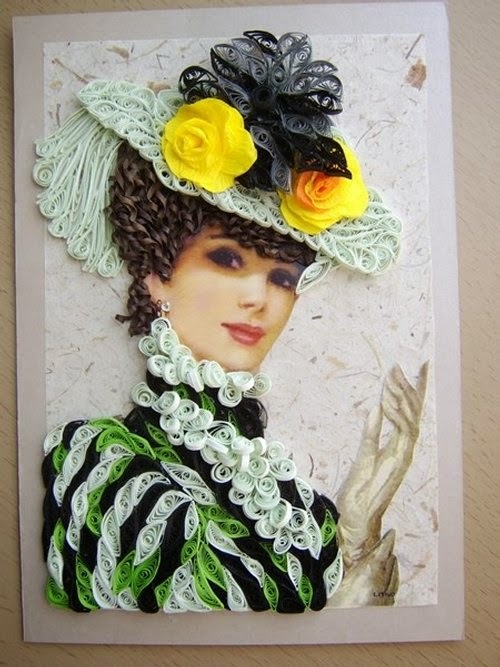 See if you can spot some of the celebrities.